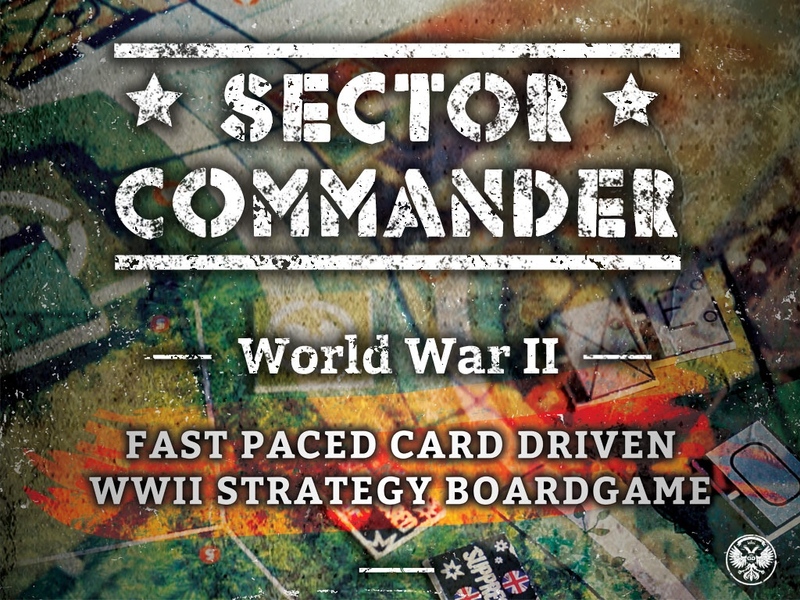 Grenzer Games just launched their Kickstarter campaign for Sector Commander: WWII, their new strategic board game. Players are in control of either the Axis or the Allies and must march their armies across the board in order to secure locations and root out the enemy. 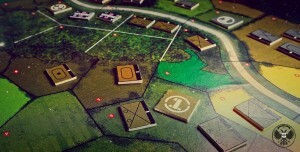 Terrain factors in heavily, as each space on the board can only support so many types of units on it at a time. It's not as simple as "walk forward and fire." The campaign is set to run for another 34 days. Grenzer Games gives us a look inside the proposed box contents for their Sector Commander: WWII game. 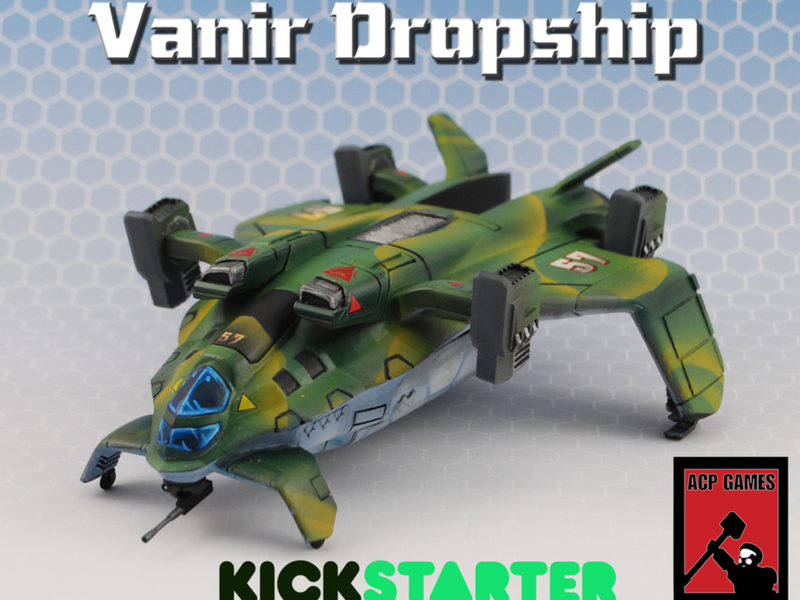 It'll be up on Kickstarter soon. Little box content preview image. 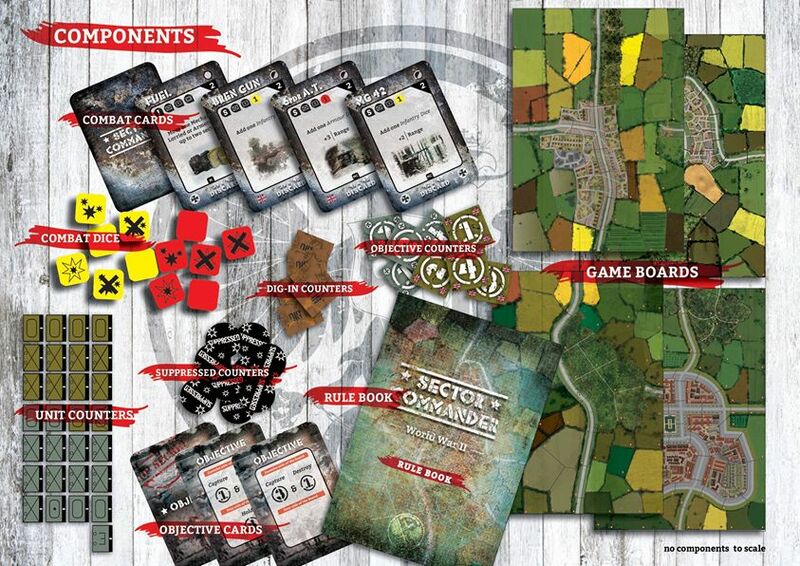 Graven Games posted some shots of the prototype tokens and boards for Sector Commander: WWII. Some photos of the prototype game maps and counters. These are hand made so some might be rough around the edges but it gives you an idea on the look of the game and the way units look on the board. These units are without their appropriate Hit Points for photogenic reasons. Each unit has a number of blank counters placed under it to act as variable Hit points system for taking casualties. Grenzer Games continues to posts previews of unit and game cards for their upcoming Sector Commander: WWII board game. 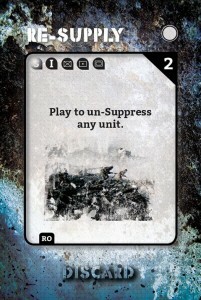 With Suppression really taking its toll these cards are dead useful. The thing to watch is the game phase they have to played in...(see the tab at the bottom of the main panel of the card) RO or Re-Organisation phase is right at the start of your game turn, where you take care of certain admin elements but playing this card can easily be forgotten, leaving your lads Suppressed and open to being destroyed more easily.